Controversial average speed cameras have failed to lower the number of deadly accidents on the A9 between Perth and Inverness. Figures from the Scottish Government show there were five fatal accidents on the northern stretch of the major road during the first full year of cameras being in operation – the same amount as the three year average and one more than in 2013. Journey times have also increased between Perth and Inverness, leading critics to blast the introduction of average speed cameras as “nothing more than an economic noose around the neck of Scotland”. The Scottish Government have insisted the A9 is safer since the introduction of the so-called ‘yellow vultures’, while Transport Minister Derek Mackay accused critics of “trying to score petty points”. But Inverness-based Mike Burns, of Average speed cameras are not the answer campaign, suggested the Scottish Government had been highly selective in its analysis. He said: “Whilst any reduction in deaths and serious injuries is welcome, the government has again pulled a blinder by using dubious statistics and incorporating figures between Perth and Dunblane to hide the impact of what is happening between Perth and Inverness. “With average journey times which render the average speed of the A9 to that of a B Road, the massive economic damage which is now being inflicted on the Highlands by the central belt A9 safety quango needs serious address. Highland MSP Mary Scanlon added: “The statistics show that the average journey time from Perth to Inverness has increased from around 115 minutes prior to the introduction of the cameras to 128 minutes in December 2015. The number of injuries – 25 – was also down on the three year average of almost 40. 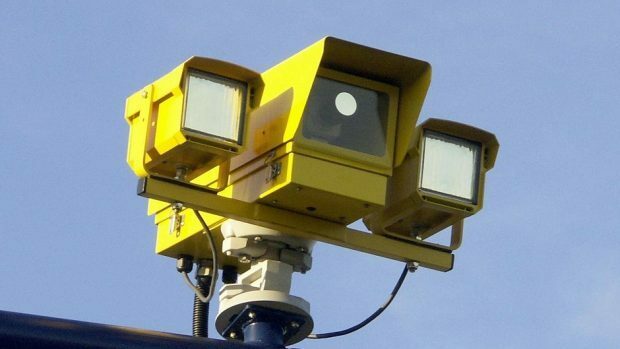 Mr Mackay said anti-average speed camera campaigners should focus on protecting human lives. He told the Press and Journal: “We don’t control these figures. These statistics are showing that we deployed the right measures. “When I hear about criticism, the fact is that people feel safer on the road – that is what the surveys have shown. “I visited the business community and I think there has been good local engagement and I’m sure people will welcome that they are safer, that the amount of time from road closures is down. “Human life is so important and I’ve said repeatedly that I don’t think there is an excuse to speed to shave a few minutes off a journey.